Do you think the quality of the products you sell is not optimal? Do you want the honest opinion of users and feedback about their purchase? Did you want to provide discounts to loyal customers that regularly spend in your store? Follow the orders on your OpenCart 2 store with this module and you can setup all of those processes automatically. 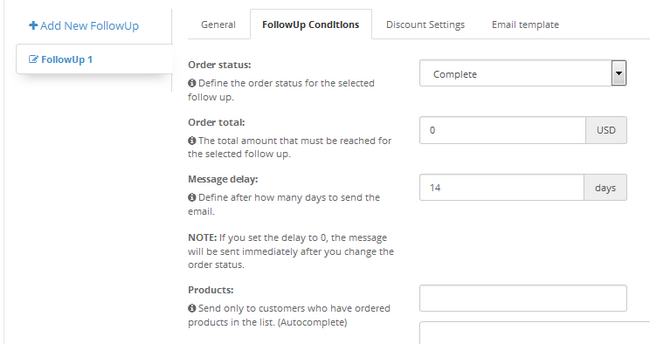 Once you have downloaded OrderFollowUp from the official website of iSenseLabs and have successfully installed it, you will be able to configure email templates and automate the email sending process. If you have any questions about installation or module settings access, you can check our useful Extension Management for OpenCart 2 Tutorial. 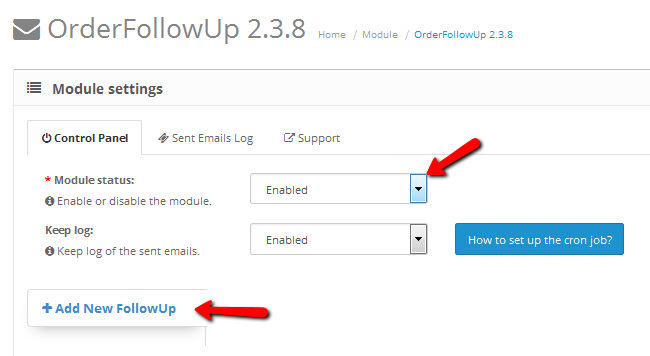 As a start, you have to enable the extension and Add a new Follow up. In the general panel of the new follow up you will be able to enable/disable it and rename it for better internal orientation. In the second tab you will be able to setup the follow up conditions. You can add different follow ups depending on the condition. If there is a failed purchase you can add a follow up informing the client via email or if the status is denied you can provide further information about the reasons for the denial. Message delay – Select the amount of days you wish to delay the message compared to the order. If you are going to follow up a denied status, 0 will be a good choice as you want the customer to immediately see that his order has been denied. For feedback purposes you can wait 7-14 days depending on the product and the needed time to be tested by the user. Products – You can add specific products for which the follow up to be valid. 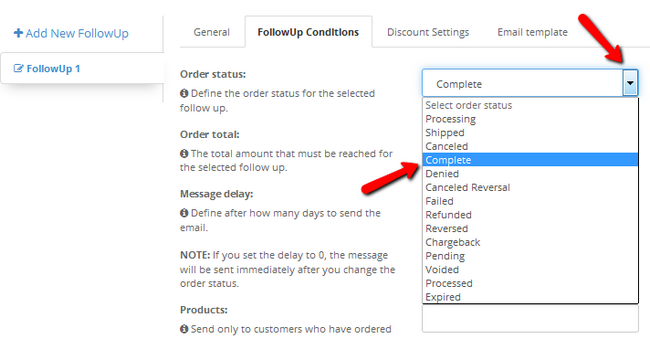 If you add a product here, all of the other products will not trigger a follow up after the order status rule has been met. 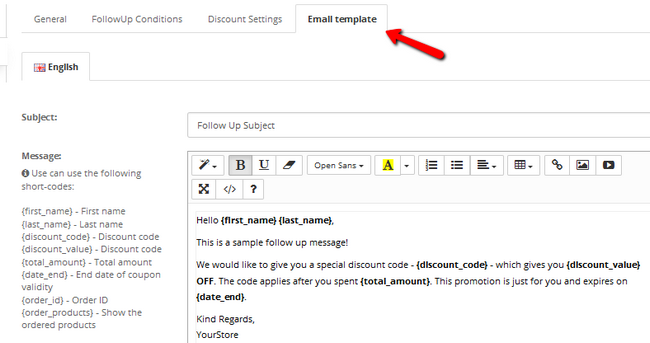 In the email template tab you can find and edit the actual message the user will receive when his order has met the rules for the follow up. Use the shortcodes as placeholders for the variable information of each user. OrderFollowUp is a useful module that can straighten the relationship between you and your customers. Treat them well and they will come back to buy from you again.